Proving program termination is typically done by finding a well-founded ranking function for the program states. Existing termination provers typically find ranking functions using either linear algebra or templates. As such they are often restricted to finding linear ranking functions over mathematical integers. This class of functions is insufficient for proving termination of many terminating programs, and furthermore a termination argument for a program operating on mathematical integers does not always lead to a termination argument for the same program operating on fixed-width machine integers. 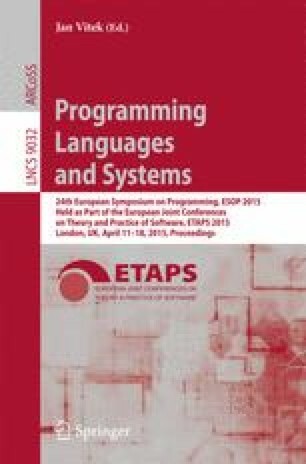 We propose a termination analysis able to generate nonlinear, lexicographic ranking functions and nonlinear recurrence sets that are correct for fixed-width machine arithmetic and floating-point arithmetic. Our technique is based on a reduction from program termination to second-order satisfaction. We provide formulations for termination and non-termination in a fragment of second-order logic with restricted quantification which is decidable over finite domains . The resulting technique is a sound and complete analysis for the termination of finite-state programs with fixed-width integers and IEEE floating-point arithmetic. Supported by UK EPSRC EP/J012564/1 and ERC project 280053.